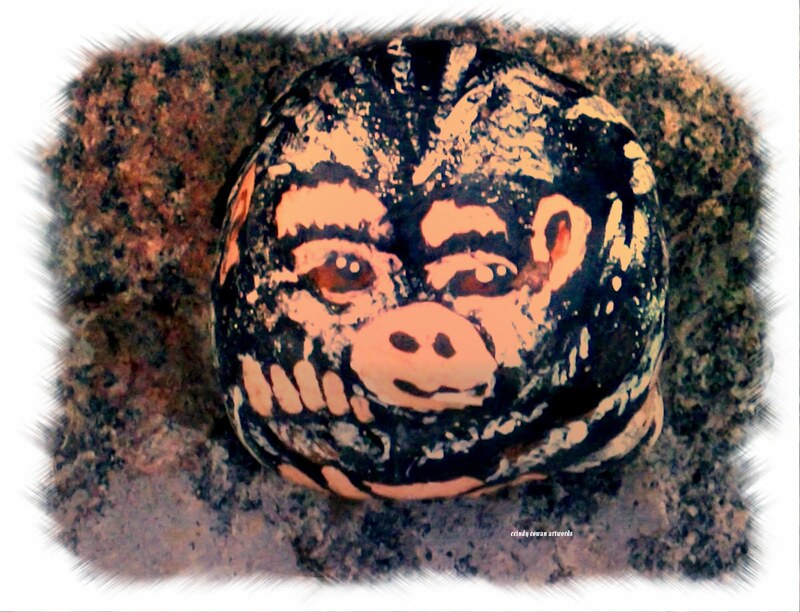 Here is one of my rocks that I painted for my Mom. I think he is quite cute, needs a little touch up at the eyes. This rock is about an inch and a half by about 2 inches. others that she has found and they all sit on a big slab of rock. It was so beautiful here over the weekend that I may have a wee bit of heat stroke. Have a slight headache, the chills and a little nauseaus. I think after a night sleep I should be fine. I really need to continue organizing my filing cabinet. that is if the urge hits me. What do you want to accomplish today.? and may it be Your Best Day Ever. I am going to purchase my hanging baskets, flowers and plants....I'm so excited. You have to be careful with the heat...heat stroke is nothing to fool with. Be careful hun!!! Today I am going to have some fun...doing a jewelry class this afternoon!! woohoo! Taking my granddaughter as well. We will have a blast. Be careful in the hot weather, Cinner. I need to go out and deadhead some Coreopsis today, before it gets too hot! I had a heat stroke in the Army once. Took about 15 years before I could sweat again on my face. It's a very serious matter - best try to avoid that! rest sweetie, rest and feel better ! Take care of yourself, Cinner. oh do take care of yourself today and take it easy...nice rock, too cool!